This different take on creating a wedding guestbook was something I saw on Pinterest and thought it would be perfect for a Christmas present too. 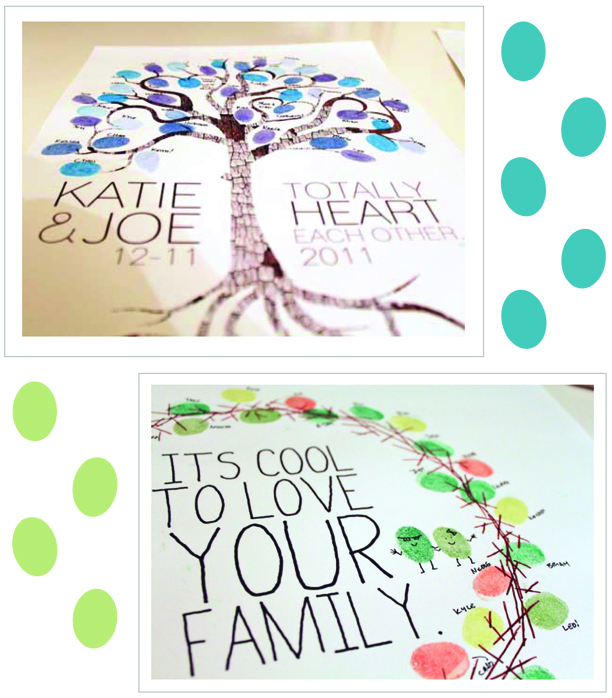 If you have a big family this would be a personal and unique way to illustrate your family tree and give your loved ones something they can cherish for generations. My boyfriend has a really big family and his parents have 9 grandchildren so this will be perfect for them. The wreath design also caught my eye, so I might have to try that one a little later. You can buy the tree or wreath already drawn out and ready to go at the Etsy shop Love From The Thumb, or you can be crazy (like me) and draw it yourself. I'll let you know how it turns out and post it when it is done. Hope they will like it! Are any of you making gifts for people this year?